Yash Raj must be pleased!!! 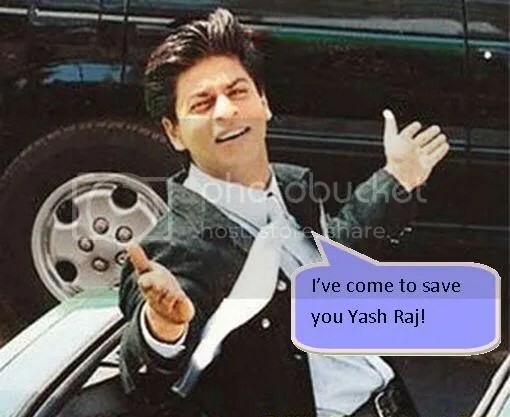 Yash Raj has become very wary of late. Their movies aren’t guaranteed to be a hit anymore and that’s why Aditya Chopra, known for keeping mum until a movies release, staged a special screening of Rab Ne Bana Di Jodi for Yash Chopra, Karan Johar and the stars of the movie. “Well Adi was a relieved man once the show was over as RNBDJ has SUPERHIT written all over. It is definately going to YRF’s savior just like last year’s SRK starrer Chak De India was! The movie is a complete family entertainerquite funny and has some really spectacular dance sequences. And for those of you who want to know what the storyline is, Shah Rukh Khan’s and Anushka Sharma’s characters are already married, although the marriage doesn’t really have much romance in it. Shah Rukh’s character really does love his wife though and when his wife wants to enter a dance competition (I’m assuming it’s a couples thing), he gets a makeover so he can be the guy of her dreams. Sounds interesting…and different, Bollywood doesn’t really concentrate much on married couples, just on getting the two together. Interview:Neil Nitin on acting and furture projects! 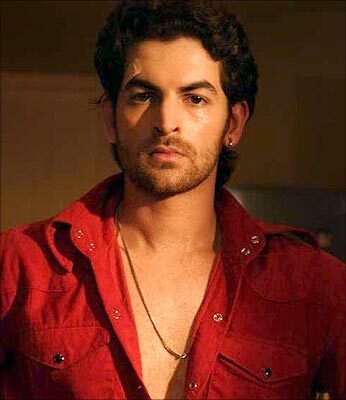 Neil Nitin Mukesh gets candid about his family and upcoming films on the sets of Jehangir Surti’s Freeze, now titled Aa Dekhen Zara. I wanted to be an actor ever since I can remember. I was four when I acted in Yash Chopra’s Vijay. I have inherited musical genes from my family and I can sing, play the piano and compose songs as well. Someday I might just turn composer for my films, considering that I have made my singing debut in Aa Dekhen Zara. I am proud of my legacy! After Johnny Gaddaar your next release is Aa Dekhen Zara. Is it also an unconventional role this time? What unconventional role are you talking about? I decided to start my career with Johnny Gaddaar because I was sure I did not want to start out with romantic lover-boy roles. But now I am doing films that interest me and Aa Dekhen Zara has a great story. It is a romantic thriller and I play a photographer. Is that an unconventional role? And if it is then all my films will have an unconventional element! You also brought yourself a new Canon camera. Yeah! I can call myself a professional photographer now! The camera is one instrument that has always fascinated me. I took to photography while shooting for this film and now I am hooked onto it! My camera is my constant companion! Are you paired opposite Bipasha Basu? Yes! Working with her was so good! She is a brilliant co-star and she is in the best phase of her career. She has never looked prettier than what she does in Aa Dekhen..! Her performance too is outstanding. Why has the title changed from Freeze to Aa Dekhen Zara? Freeze was always a tentative, working title! Aa Dekhen Zara fits perfectly as it is about this boy who has a camera that shows him the future. And all of us knew that we were making an Indian film and we wanted a title to which people would relate. You also do a few stunts in the film. Yes! I injured myself quite a few times too while doing the stunts. I had to jump off a building from the ninth floor twice! The second time because, they couldnt capture me when I jumped the first time. So what do you usually consider when you take up a film? The director! The captain of the ship is most important to me! The script, co-stars, everything is secondary! What is your part in YRF’s New York? New York is a very simple film with strong characters. I am playing an ordinary guy, very raw and real. Besides that I cannot reveal anything about my role! Didn’t you and John bond big time on the sets? New York was the best shoot of my life. John is like an elder brother now and I adore him! Katrina is a darling to work with. We worked, went to the gym and chilled out! It wasn’t one bit boring! You feature in Madhur Bhandarkar’s Jail. Did you really shoot in a jail for the film? Madhur is so carefree and relaxed and the kind of cinema he makes is because he has such a strong hold with the human element in him and that comes out of his work. Jail is a very important film for me! The character is more complex than you think. Yes, we are planning to shoot inside a jail and we still are scouting a series of jails for the shoot. Besides New York and Jail I am doing Sudhir Mishra’s film Tera Kya Hoga Johnny with Soha Ali Khan. After that comes Abbas-Mustan’s thriller to which I am really looking forward to. It has a great story and I have a beautiful co-star too! Finally Ken Ghosh’s romantic film with Amrita Rao is a sweet, simple love story!